Thunder Bay Press, 9781684127238, 96pp. The illustrated, glow-in-the-dark Bible verses on these pages will soothe your spirit in the darkness. 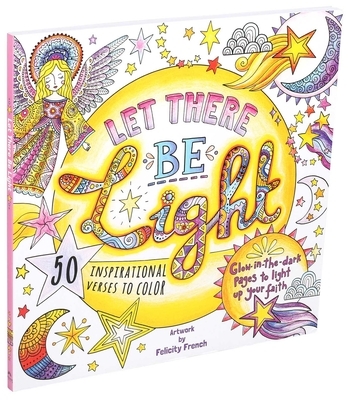 Felicity French has illustrated many coloring books for adults and children, including I Heart Colouring, Kids Unplugged Animal Adventures, and The Lion Nativity Colouring Book. She draws by hand and loves to incorporate decorative patterns into her artwork. She lives in Cotswolds, England, with her husband, John.